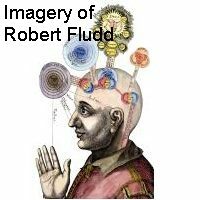 Robert Fludd is a well known early 17th century English Doctor who summed up the whole of human knowledge of the Macrocosm and Microcosm in a series of large folio volumes published between 1617 and 1626. These are written in Latin and have not been translated in toto, though a number of sections have been issued in the Magnum Opus series. Fludd's work was extensively illustrated with wonderful engravings and woodcuts. This study course leads us through all the emblems in Fludd's great volumes. The course amounts to nearly 547 pages with over 550 illustrations! Adam McLean provides an explanatory commentary on each image. This gives us an insight into the breadth of the ideas pursued by Fludd in his great work. The course is provided as a large PDF file which can be read on any computer system. By purchasing this course you must agree to use this for the purposes of your private study only and not to distribute the course material (whether text or graphics) to any other individual. Sharing the course with others ultimately leads to my work being pirated and my losing control of my own copyright material. Please note these lessons are copyright ©2010 Adam McLean, and no part may be reproduced or distributed in any form (including the Internet) without the permission of Adam McLean.